Emi Koussi volcano in the Tibesti massif. 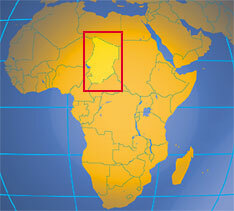 The pyroclastic shield volcano is situated in the central Sahara of northern Chad. An elevation of 3,445 m at its peak, making it the highest mountain in Chad, and the highest in the Sahara. 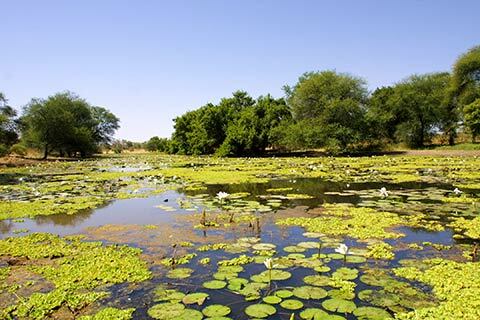 A virtual guide to Chad, a landlocked country in northern Central Africa, bordered by Cameroon in south west, by the Central African Republic in south, by Libya in north, by Niger in west, by North Sudan in east and it has a border with Nigeria across Lake Chad. Chad occupies an area of 1,284,000 km², making it slightly larger than 2.5 times the size of Spain, or slightly more than three times the size of California. The landscape of the country varies, extensive arid plains in the Sahelian belt in the center, a desert zone in north, mountains in northwest, lowlands in the fertile Sudanian Savanna zone in south. 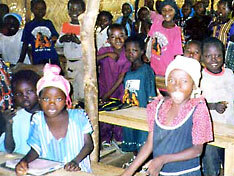 Chad has a population of 11.3 million people (2009 census). Capital and largest city is N'Djamena, spoken languages are French and Arabic (both official), over 120 languages and dialects in use by 200 distinct groups, Chadian Arabic is lingua franca. Chad, part of France's African holdings until 1960, endured three decades of civil warfare as well as invasions by Libya before a semblance of peace was finally restored in 1990. The government eventually suppressed or came to terms with most political-military groups, settled a territorial dispute with Libya on terms favorable to Chad, drafted a democratic constitution, and held multiparty presidential elections in 1996 and 1997. In 1998, a new rebellion broke out in northern Chad, which sporadically flares up despite two peace agreements signed in 2002 and 2003 between the government and the rebels. Despite movement toward democratic reform, power remains in the hands of an ethnic minority. Other Cities: Sarh, Moundou, Abéché, Faya-Largeau, Doba. Independence: 11 August 1960 (from France). Terrain: Chad has of three distinct zones. In the South, a tropical zone with wooded savannas and large equatorial forest. The Center, is dominated by the Sahel zone with steppes, thorn-bushes and baobab trees; in the North, the Saharan desert zone. Climate: The Northern desert is very dry throughout the year; the central plain is hot and dry, with brief rainy season mid-June to mid-Sept.; southern lowlands are warm and more humid with seasonal rains from late May to early October. Ethnic groups: 200 distinct groups. In the north and center: Gorane (Toubou, Daza, Kreda), Zaghawa, Kanembou, Ouaddai, Arabs, Baguirmi, Hadjerai, Fulbe, Kotoko, Hausa, Boulala, and Maba, most of whom are Muslim. In the south: Sara (Ngambaye, Mbaye, Goulaye), Moudang, Moussei, Massa, most of whom are Christian or animist. Religions: Muslim 51%, Christian 35%, animist 7%, other indigenous beliefs 7%. Agriculture products: Cotton, gum arabic, livestock, fish, peanuts, millet, sorghum, rice, sweet potatoes, cassava, dates, manioc. Industries: meat-packing, beer brewing, soap, cigarettes, construction materials, natron mining, soft-drink bottling. Embassy of the Republic of Chad in Washington D.C. Address list of Chad's Diplomatic Missions Abroad. Web site of the French embassy to Chad. National Statistical Office of Chad. Political map of the Republic of Chad. Searchable map and satellite view of Chad. Searchable map and satellite view of Chad's capital city. Portal site with Cad news and country information. Chad related UN news in English and French. Sahelanthropus tchadensis, discovered in 2001 in Chad is estimated to be between 6 and 7 million years old and so the oldest member of the human family. Chadian musician born in Moundou in southern Chad. The landlocked sub- Saharan country's area is mostly desert. 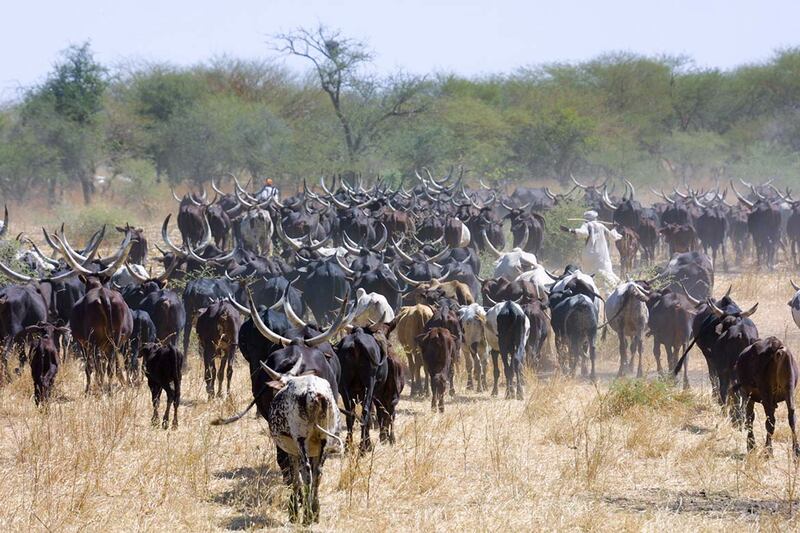 Its main economic activities are subsistence agriculture, rearing of livestock and fishing (Lake Chad). Its landlocked location results in high transportation costs for imported goods. But there is Oil, which provides about 60% of export revenues, but the country regulates the price of domestic fuel, providing an incentive for black market sales. The Chad–Cameroon Petroleum Development and Pipeline Project is a controversial project to develop the production capacity of oilfields near Doba in southern Chad. Report by the United States Energy Information Administration about Chad's and Cameroon's oil production and the resulting "strong economic growth" of both countries. 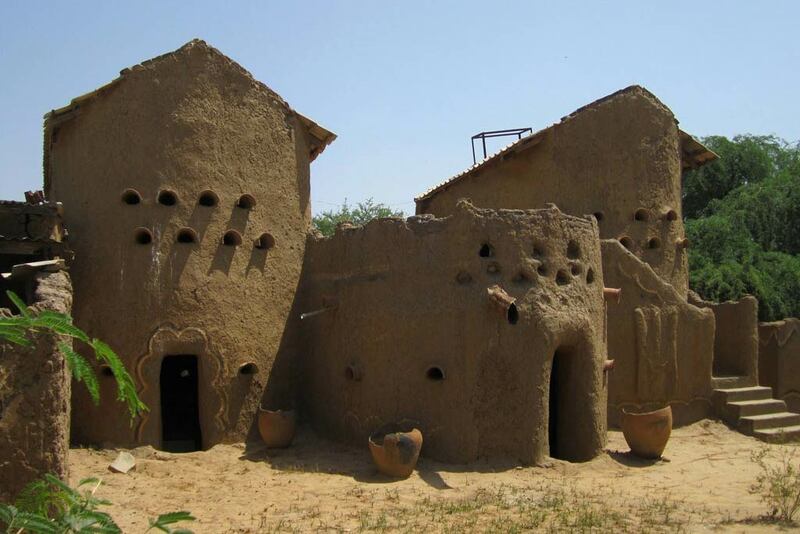 The former sultan's palace in the village of Gaoui just east of N'Djamena it houses now a small museum of the Sao culture. Official Chad Visitors guide in French and English. Portal site gives you a glimpse into the life in Chad. by Lonely Planet Destination Guide. About the work of the Free University of Berlin Institute for Research on teaching, learning, and school development in the area of basic education, including the education project "Projet Education de Base" in the Republic of Chad. The former University of Chad was founded in 1971, it was renamed to University of N'Djamena in 1994, it is the leading institution of higher education in the Republic of Chad. Wikipedia entry of the history of Chad. A study done by the US Library of Congress that covers history, geography, culture, politics, economy, etc.. You can download the book in pdf format.